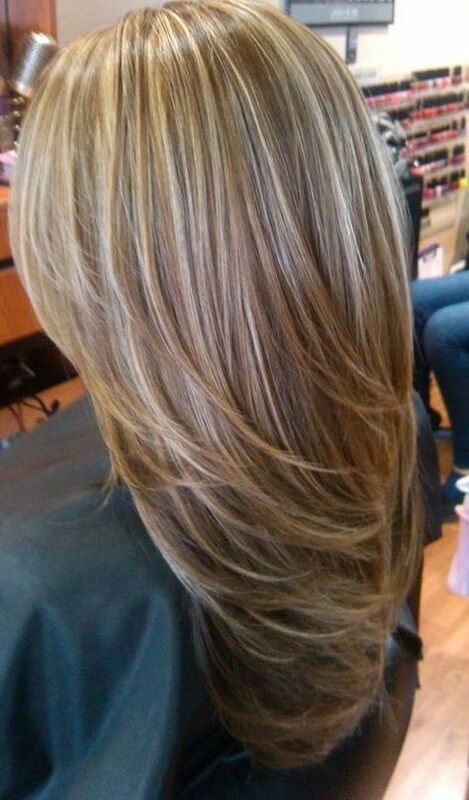 Highlights are a great way to add depth and definition to your hair, whether you wear it wavy or poker straight. They can help to accentuate layers and bangs, as well as frame your face. These days there is an endless choice of colours when it comes to highlights, but sometimes you can’t beat a classic. 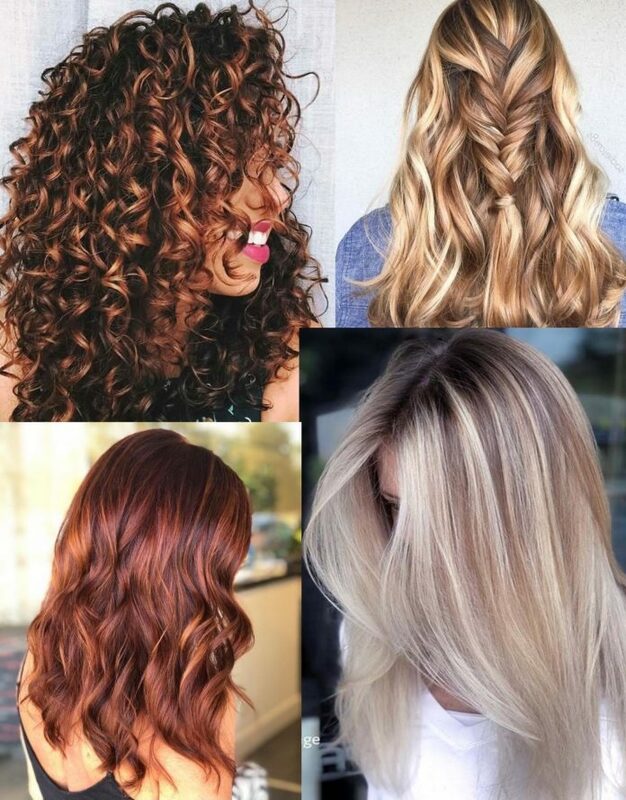 Caramel highlights are always going to be a favourite as they look great on all natural colours, from the lightest blonde to a rich red, and to the darkest black. 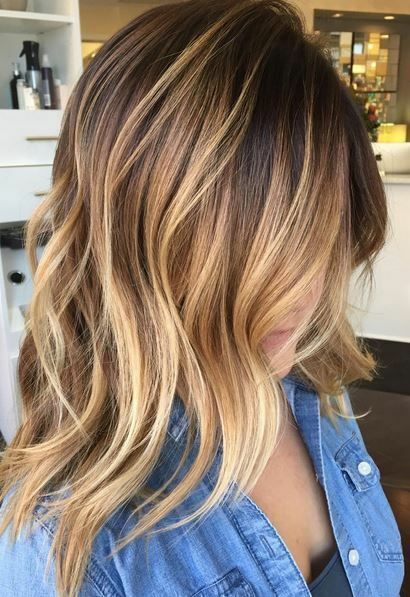 If you are looking for some inspiration, check out some of our favourite use of caramel highlights. This choppy bob has been given a great sense of movement thanks to the addition of thick slices of caramel throughout the milk chocolate base. 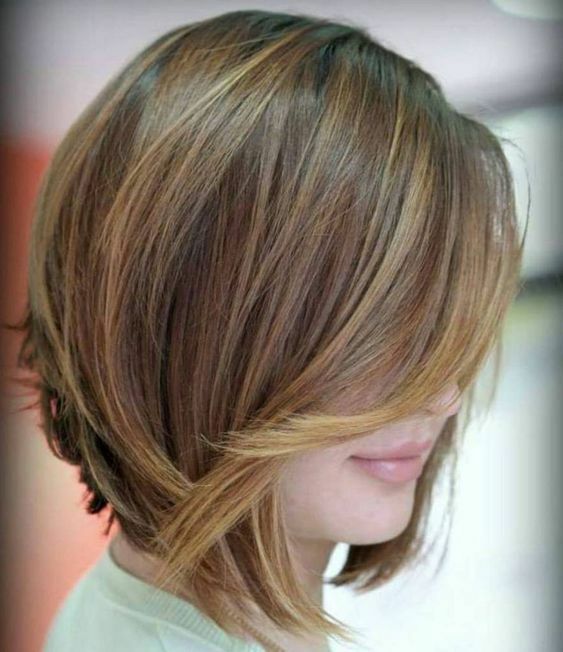 Some slices of honey helps to define the gorgeous texture of the hair – a wonderful multi-tonal look for Spring. The gorgeous flicked-out layers of these long, rich locks have been perfectly accentuated with caramel highlights that frame the face. 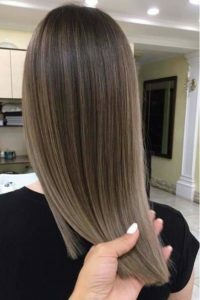 The hair has a wonderful glossy finish, which can be easily achieved with a good quality shine spray, spritzed over the hair following styling. 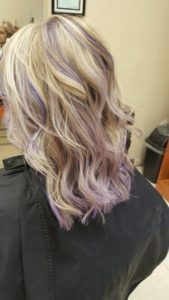 A platinum blonde base has been given a unique colour by adding slices of lavender along with caramel highlights. Surprisingly, the colours work beautifully together, with the fine touches of caramel blending perfectly with the purple tones. 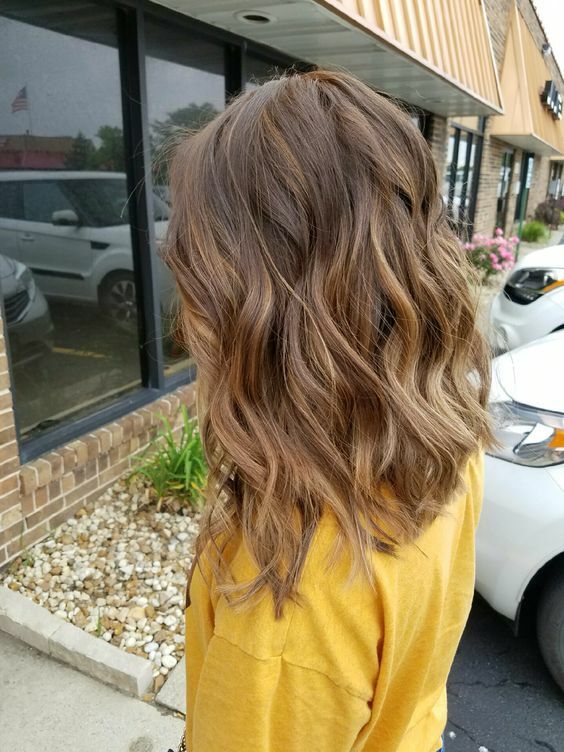 A delicious milk chocolate base colour has been made good enough to eat with a subtle caramel balayage. The gorgeous, creamy caramel tones have added definition to gorgeous messy wave, lifting the style and giving it depth. Stunning! 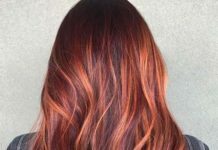 You may just be surprised how versatile caramel highlights actually are. 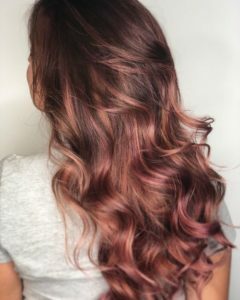 A naturally dark base colour has been lightened through the tips with thick rose gold and caramel slices that and blended together to create a wonderfully metallic effect. Ash blonde hair can sometimes look a little dull, particularly if your hair has a fine texture. 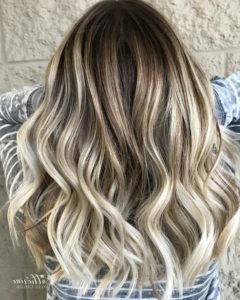 This poker straight ash blonde hair has been given the illusion of volume and texture with honey and caramel highlights. 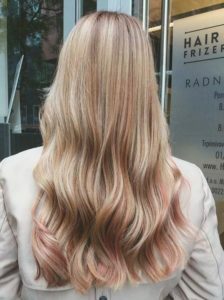 The colours are gorgeous together, and can be kept vibrant with a good colour care regime. Can’t choose between blonde or brown locks? 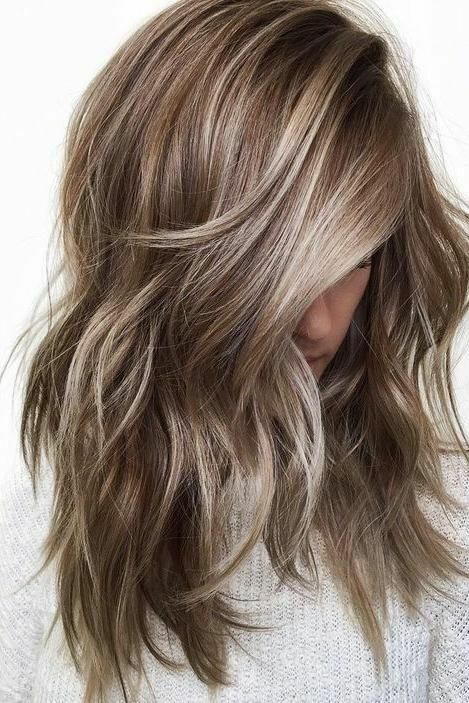 No problem go for a mixture of the two with a gorgeous bronde shade of hair. 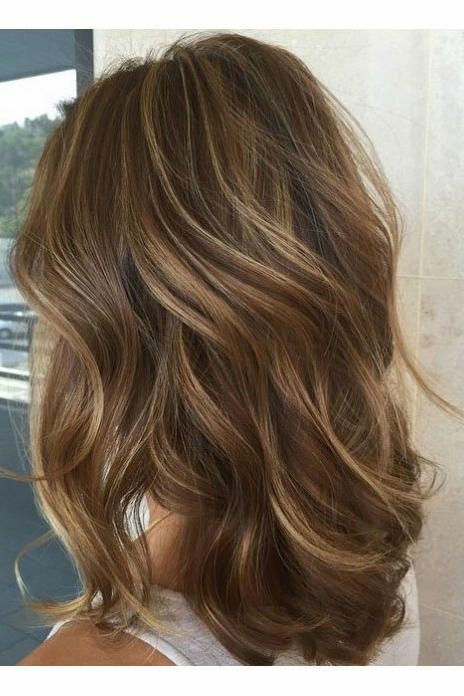 The perfect medium between blonde and brunette, bronde hair is lovely against pretty much every skin tone. 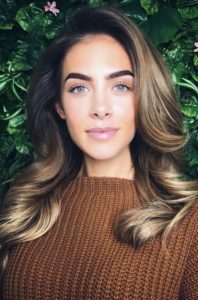 This stunning natural texture of this bronde hair has been emphasised with some subtle caramel highlights. 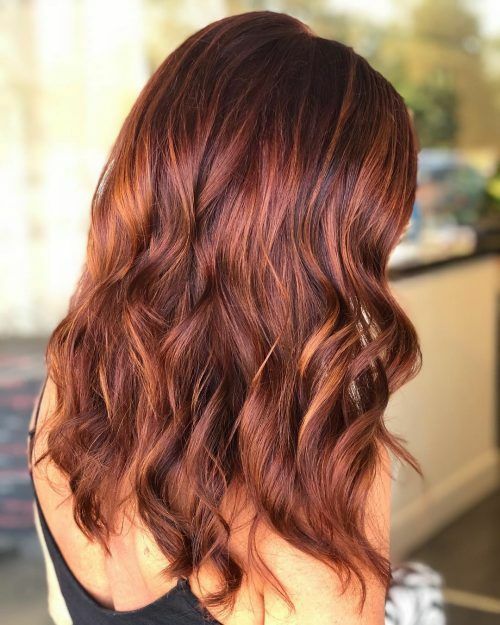 The rich copper-toned base of this wavy lob would be just gorgeous on its own, but it has been taken to the next level with the addition of chunky slices of caramel and mahogany through the entire lengths. The loose ringlet curls show off the multiple tones of the hair to perfection. Such a wonderful colourful style, perfect for any time of year. 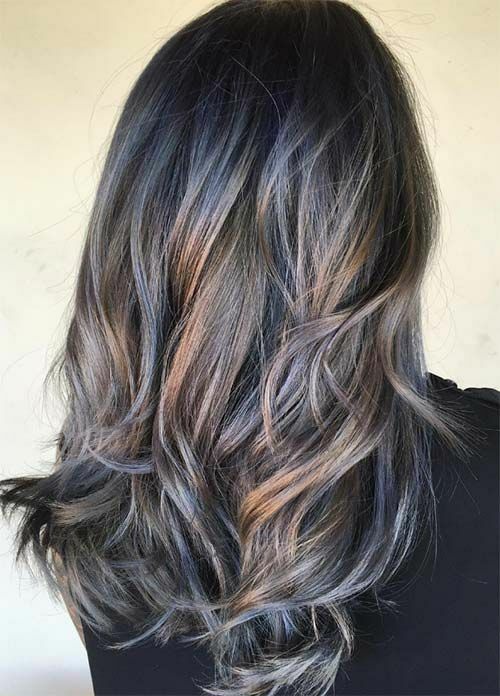 Glossy dark chocolate hair looks good enough to eat with some bright caramel highlights as this model’s stunning locks show. 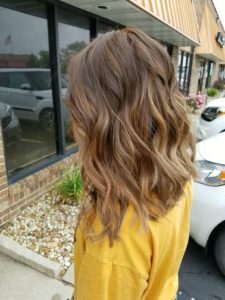 The loose waves draw emphasis to the multiple tones of caramel throughout the lengths. Just beautiful! Mushroom brown is set to be one of the hottest new hair colours of 2019. The greyish-toned brown is so stunning on all skin tones and has a wonderful softness to it that is so elegant. This mushroom brown hair has been given the most subtle caramel highlights, just to give a little bit of extra depth. 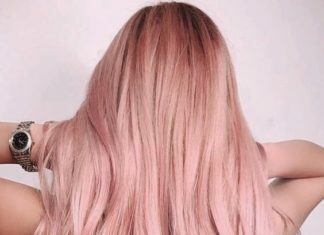 Champagne is going to be another hair colour trend for 2019, whether it be used as an overall colour, or used as a highlight colour to brighten up darker bases. These long golden brown locks have stunning layers, which have been defined with champagne and gorgeous caramel highlights. A wonderful multi-tonal style, great for thos with thicker hair. 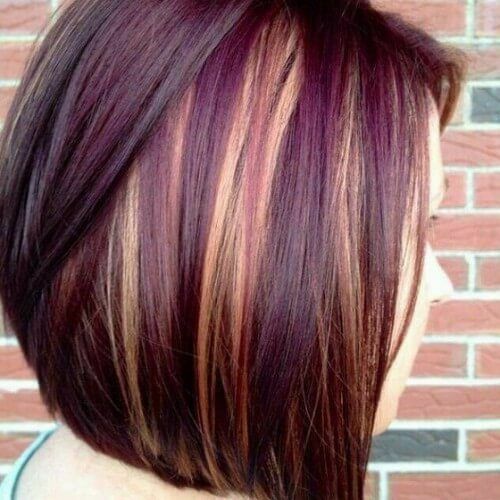 The plum tones of this rounded bob are amazing, being a perfect shade for the winter months. The colour has been warmed up even further with some caramel peek-a-boo highlights. An ash blonde and brown base have been lifted with some fine caramel highlights through the lengths. 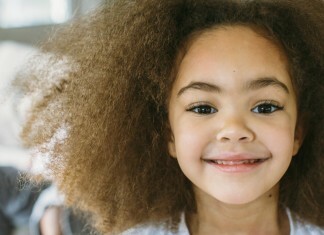 The texture of the hair is beautiful – it has so much depth and movement. 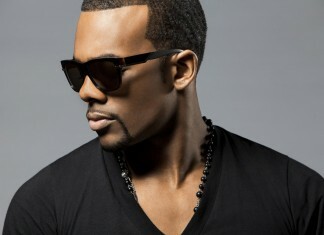 The lighter tones of colour around the hairline will brighten up the face and draw attention to features. 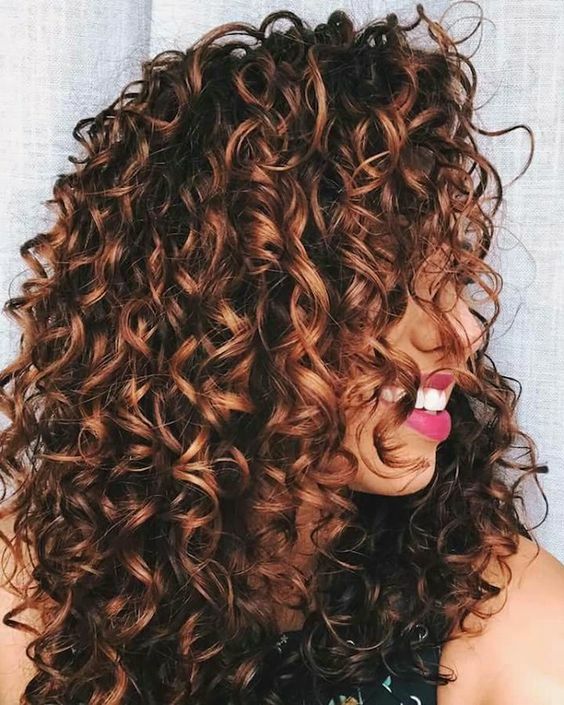 You have to love the definition of these big and bouncy natural curls. Thick caramel highlights have helped to emphasise each individual curl, whilst also brightening up a dark base. The contrast between the dark base and bold caramel is just stunning, don’t you think? Natural ginger hair is so beautiful it really doesn’t need a lot of colour added to it. However, a few caramel highlights just lifts the beautiful natural shade slightly, bring out all the gorgeous multi-tones that made up the stunning colour. 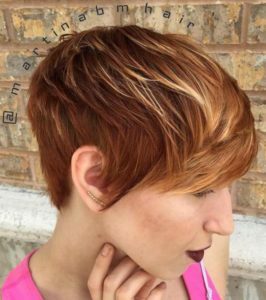 Pixie cuts in fine hair can sometimes look a little flat, but this can easily be rectified with a clever dye job. 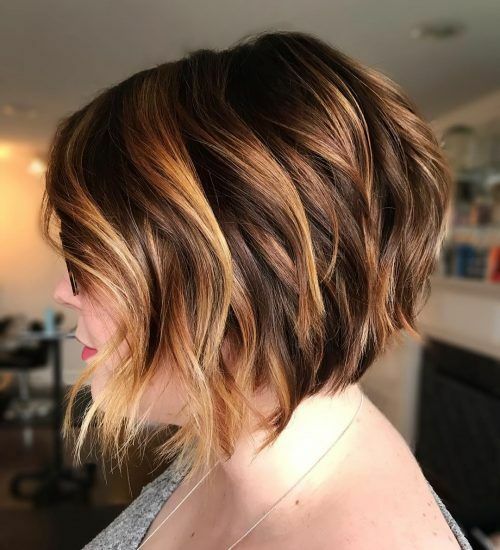 This gorgeous auburn base of this pixie cut has been tipped with a vibrant caramel colour, which defines all the layers and create the illusion of volume and body. 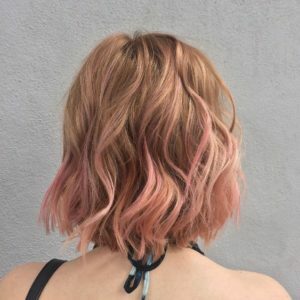 This messy chestnut bob has been transformed with the addition of pink and caramel highlights, which has created a blorange ombre effect. The style and colour is incredibly fresh and youthful, and just so carefree. 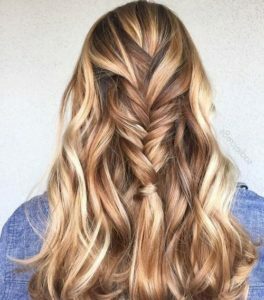 Caramel is such a versatile colour for a highlight as this unique style shows. 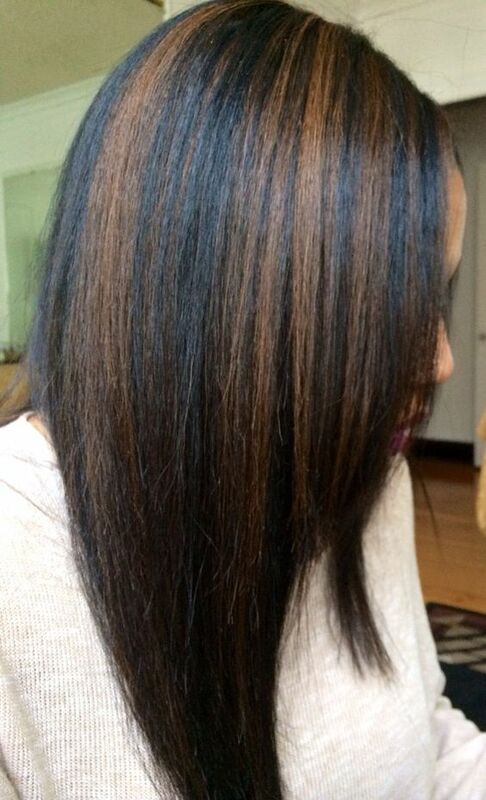 A ebony base has been generously highlighted with denim blue, which really pops thanks to a few caramel highlights. So different, yet gorgeous. Liven up an ash brown base with some bright highlights that create contrast against the dark shade. 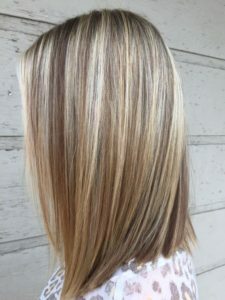 Chunky slices of platinum blonde stick with the cool colour palette, which has been warmed up just a touch with some subtle caramel highlights. 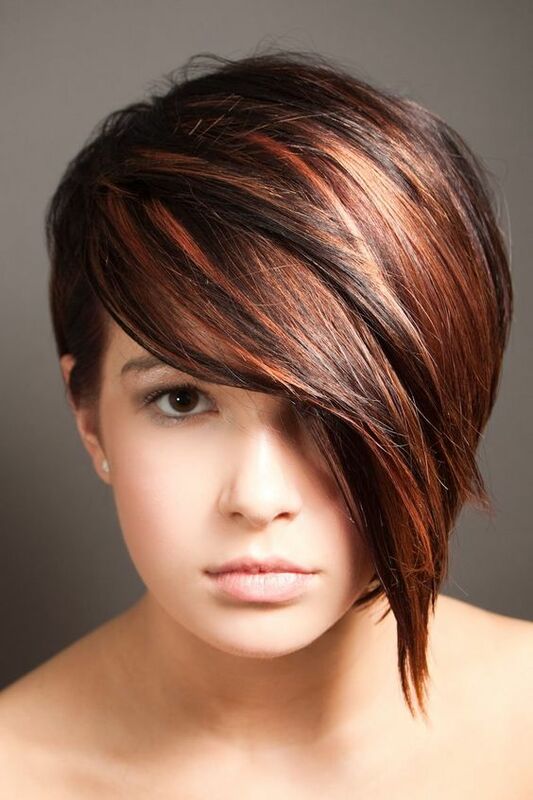 The severe asymmetric bangs of this super stylish cut have been softened with multi-tonal highlights. 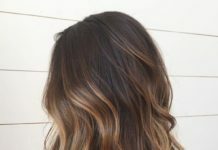 Caramel, cinnamon and a few honey highlights have defined the soft layers of the bangs and lifted the dark chocolate base. The chestnut base of these wavy locks is rich and warm, but it has been taken to the next level with some spicy cinnamon, platinum blonde, and caramel highlights. Just dreamy and beautiful. 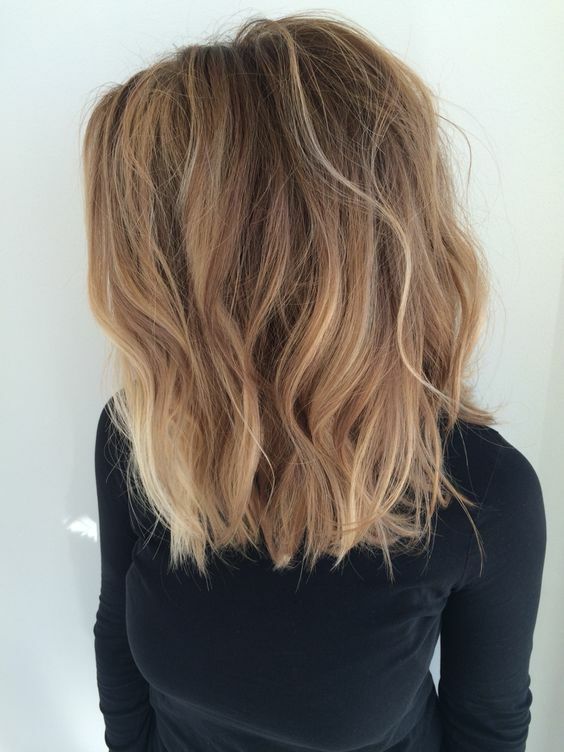 Look beach-ready all year round with some stunning sun-kissed highlights. The mixture of golden blonde and caramel highlights on a chocolate base has created a natural effect, that is effortless and beautiful. 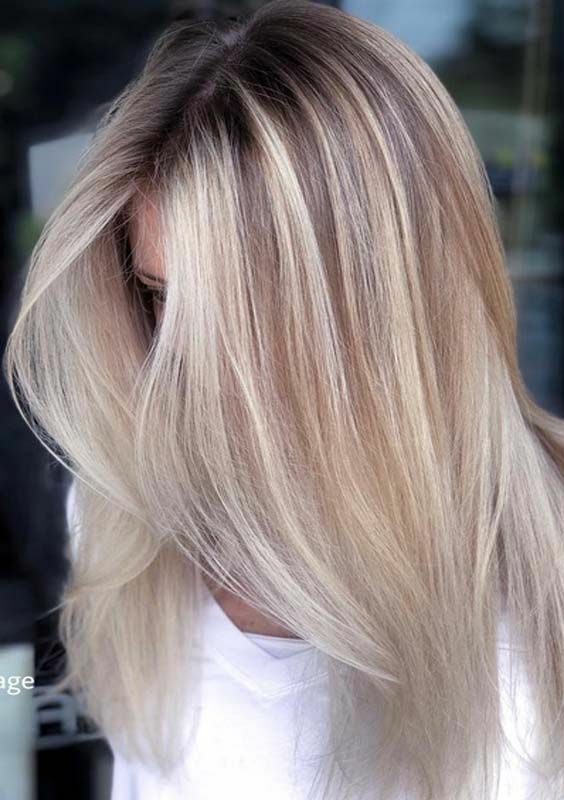 The cool tone of platinum blonde has been warmed up with the addition of slices of caramel. The caramel highlights have given some depth to the platinum shade, yet the locks still have a light and airy feel to them, which is just stunning. A dark auburn base has been spiced up with some gorgeous raspberry slices and caramel highlights. There are also a few deep violet underlights which has given this hair extra depth. 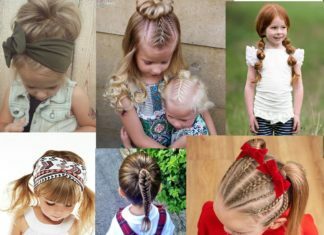 This hair is pure sunshine, don’t you think? The lovely wavy shoulder-length hair has w lovely golden brown base with sunny highlights in caramel, honey, and bright blonde. 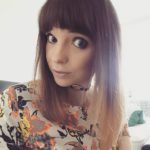 It way not quite feel like the season for beachy waves, but they are so stunning, why wouldn’t you want to embrace them all year round – they will cheer up the most miserable days. 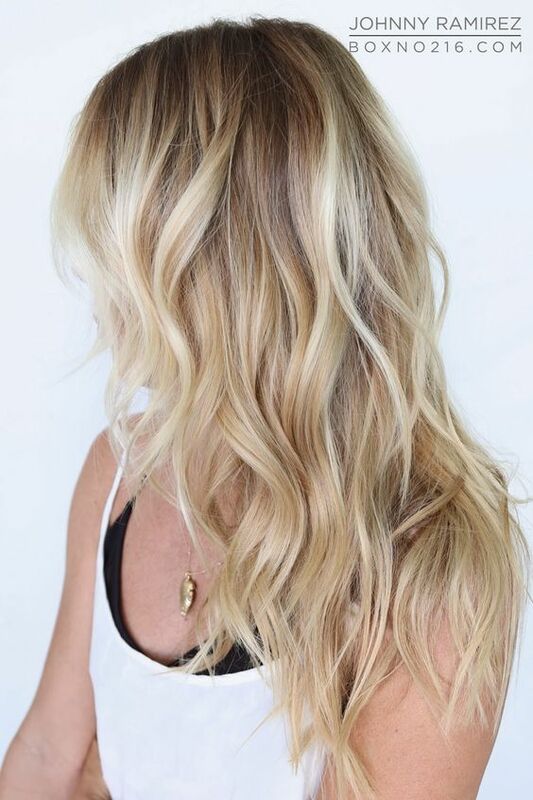 These gorgeous golden and platinum waves gave a touch of caramel that helps to counteract the icy white tones. Luscious! Black hair is a great base for caramel highlights as it gives such a standout contrast. 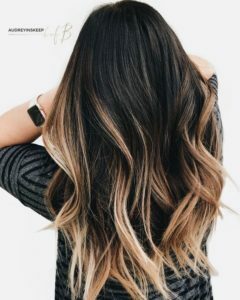 By starting the highlights a third of the way down the hair will prevent the problem of noticeable root growth, instead giving a more ombre effect. The matte texture of the hair is to die for and is easy to replicate with a sea salt spray or styling clay. If you want just a touch of caramel, consider adding a hint of the colour to the tips of your hair, like with this inverted bob. 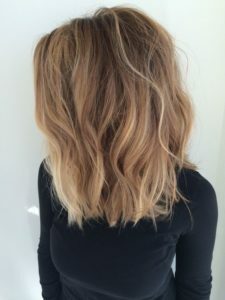 The lighter tone at the ends of the hair has helped to accentuate the texture through the tips. simple yet effective. 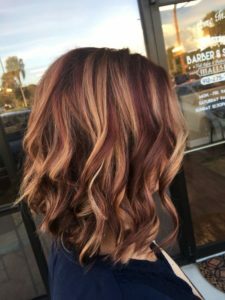 Natural black hair can be hard to lighten, but it is worth the trip to the salon for some eye-catching caramel highlights. These thick slices of caramel against the black base almost has a striped effect, thanks to such a big contrast between the colours. So sleek and chic. 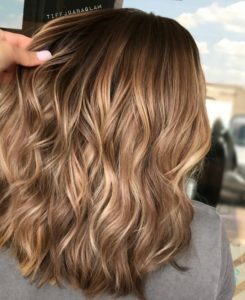 Caramel highlights look wonderful with all tones of blonde, in this case brightening up a honey blonde base with large slices of colour. The touch of pastel pink through the tips of the hair is also a lovely touch. Delicate and beautiful. 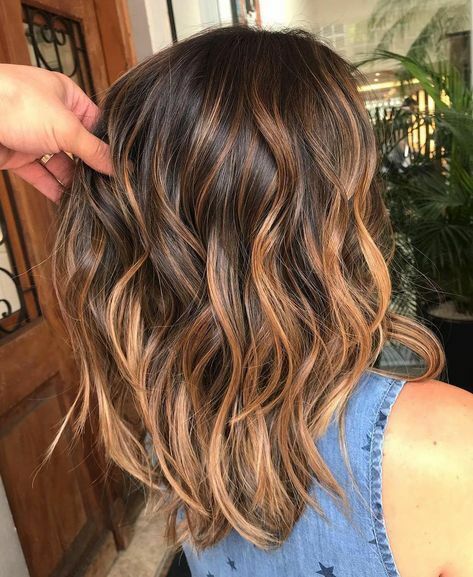 The bright and vibrant colour can be added to the hair in chunky slices to create a bold look, or the hair can be subtly highlighted to create a natural sun-kissed effect, like this gorgeous balayage look.